Rhode Island District Court judges have submitted the names of 234 residents who have been deemed a danger to either themselves or others to the FBI's National Instant Criminal Background Check System as of Nov. 20. The Providence Journal reports 2015 is the first year that the identities of those considered mentally incompetent are being sent to the national background-check system that screens residents applying to purchase firearms. Judiciary spokesman Craig Berke says the records being submitted don't include confidential medical information - just the person's identity, race and gender. 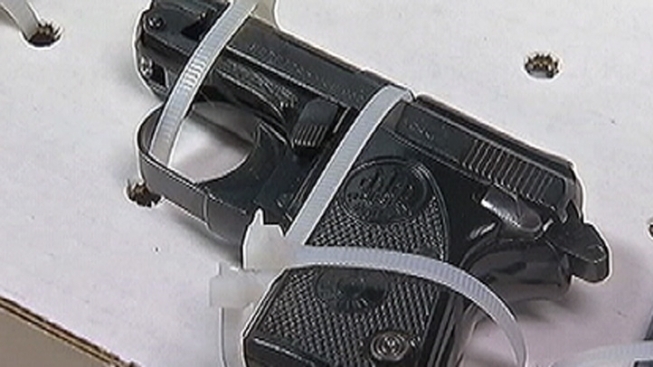 Firearms dealers won't know why a potential buyer is prohibited from purchasing a weapon. Convicted felons, immigrants living in the country illegally and those suffering from serious mental illnesses or substance-abuse problems are not permitted to buy guns.